The renowned poet Robert Frost wrote that ‘good fences make good neighbours’ – so ask yourself, is your fence fit for poetry? The many benefits of Liniar’s uPVC fencing system will be sure to make you want to wax lyrical about it. 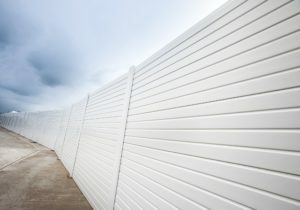 Traditional timber panel fences require hard work – they need painting or staining on a regular basis to prevent them from rotting and warping. If you have a large garden, that can be a very tedious and time consuming job. 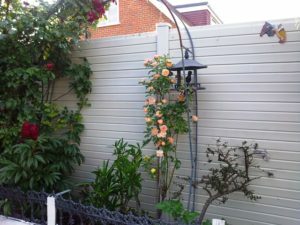 Without proper care and treatment wooden fences look tired, faded and can become a real eyesore. 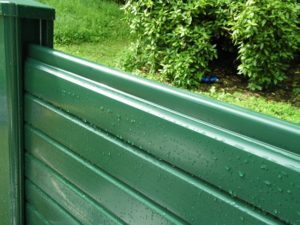 Let’s face it, when the sun is shining in Britain we want to make the most of it and enjoy our gardens, relax in a reclining chair with a refreshing, cold drink and soak up some rays – the last thing we want to do is endure the dreary, hot chore of fence painting. 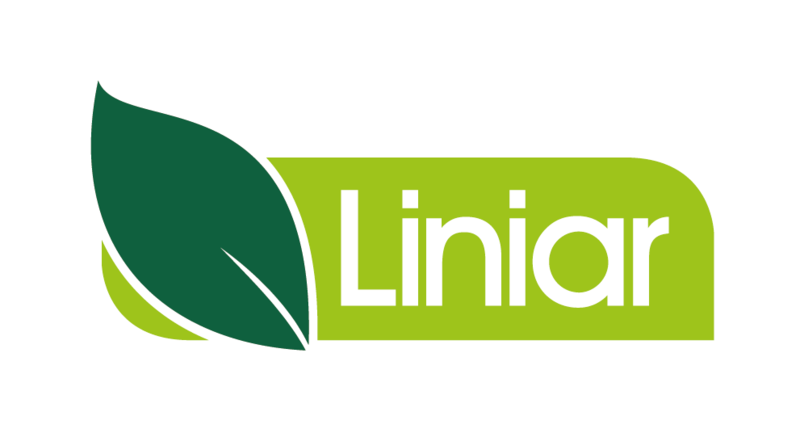 Liniar fencing products can be purchased direct from Liniar, or get in touch to find your nearest installer. You can revolutionise your outdoor living space with Liniar’s innovative range of uPVC garden fencing systems. These stylish products offer an attractive alternative to more traditional fencing products. The Liniar fencing system is not only attractive but it’s maintenance free – and because it’s made from eco-friendly recycled uPVC, it won’t rot or rust. Available in white, brown and green, Liniar’s fencing systems can be mixed and matched with deckboards and balustrades for a completely bespoke installation. And because we manufacture and design all Liniar products at our state-of-the-art facilities in Derbyshire, if you have something specific in mind then please contact us – we love to come up with innovative solutions for your challenges. Not only are Liniar’s fencing systems maintenance free, they’re also lightweight, making them easy to transport, carry and install. However, this doesn’t mean they’re not strong – they can withstand storm force winds and are highly durable. You can also say goodbye to painful splinters – as Liniar’s fencing systems are made of uPVC, they are child friendly and safer than the timber alternative. Liniar manufactures a wide range of decorative accessories to enhance your fencing system further, including lamps, post caps and wrought iron scrolls, providing you with a relaxing, safe and secure environment and helping to make the most of your new outdoor space. With extensive experience in the uPVC market, Liniar fencing is manufactured using up to 86% recycled materials. The Liniar range of uPVC fence posts and gravel boards can be installed in exactly the same way as concrete or timber products but they offer a much more durable solution. Liniar’s uPVC 110mm x 110mm rebated fence posts are compatible with other systems and can be used in conjunction with timber panels, which slot easily into place. Gravel boards, also only 10% the weight of concrete boards, can slot into any existing concrete posts, either to protect wooden panels from condensation damage, or to replace timber panels altogether when stacked to form a full panel. The Liniar brand has become synonymous with quality manufacturing and style – and with more than 15 years of experience in the market offers superior products with the highest attention to design and engineering details, along with a great level of customer service – all at a competitive price. All uPVC components are produced in Liniar’s modern 180,000 sq.ft manufacturing and warehouse facility in the heart of Britain. Liniar is the only UK company to offer the complete package:- component design; modelling; tooling; production; stocking and delivery.